I wanted to have my adf graph component refresh every 10 seconds or so to reflect the latest info. I wasn't really interested in Active data to push the info to me when it changed as it changed too often. 2) Add a partial trigger to your graph. 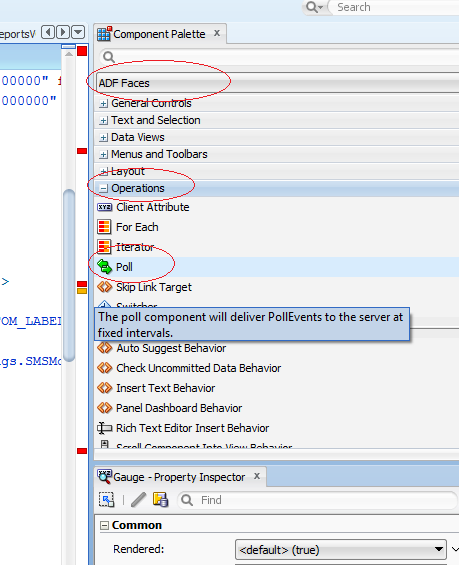 ( partialTriggers="::poll1") where poll1 is the id of the poll component. 3) viola it just works. timeout - Amount of time before the poll stops due to inactivity this will make sure a users session can timeout on this page due to inactivity as a poll is seen as activity (-1 infinite). 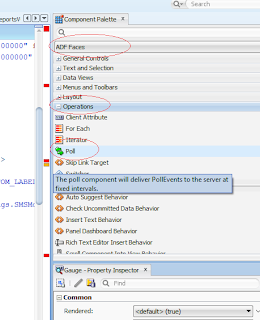 pollListener - Add some custom code to each poll event.